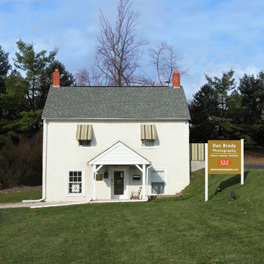 Dan Brody Photography is located at 322 King of Prussia Road in Radnor. You can park either in one of our designated spots or anywhere in the lot. Our studio is open Tuesday through Friday and select evenings and Saturdays. To ensure a wonderful experience, all portraits are taken by appointment. Please contact us so that we might discuss your scheduling needs. We look forward to hearing from you!